The numbers have been counted, and we made history! 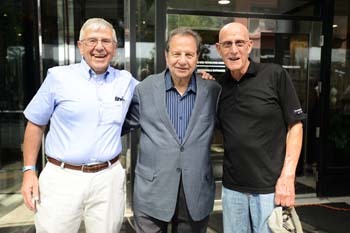 More than 1,000 alumni, students, faculty and friends attended the 125th Anniversary Block Party and All School Reunion on September 28, making it the largest alumni event in the history of Chicago-Kent. Thank you to all who attended and made the Block Party such an outstanding success. Pictures from the event are now available online. 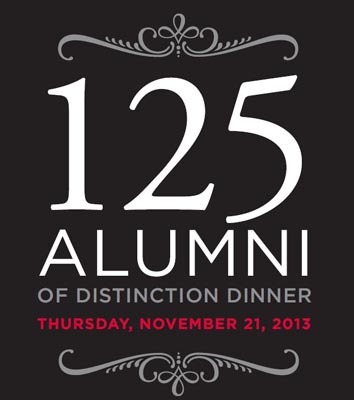 This month we will host the final event of our 125th Anniversary celebration, the 125 Alumni of Distinction Dinner. At this dinner, we will honor 125 of our most distinguished alumni; a group of trailblazing men and women who have helped shape the legal profession, given back to their communities and to the law school and raised the profile of Chicago-Kent on a global level. 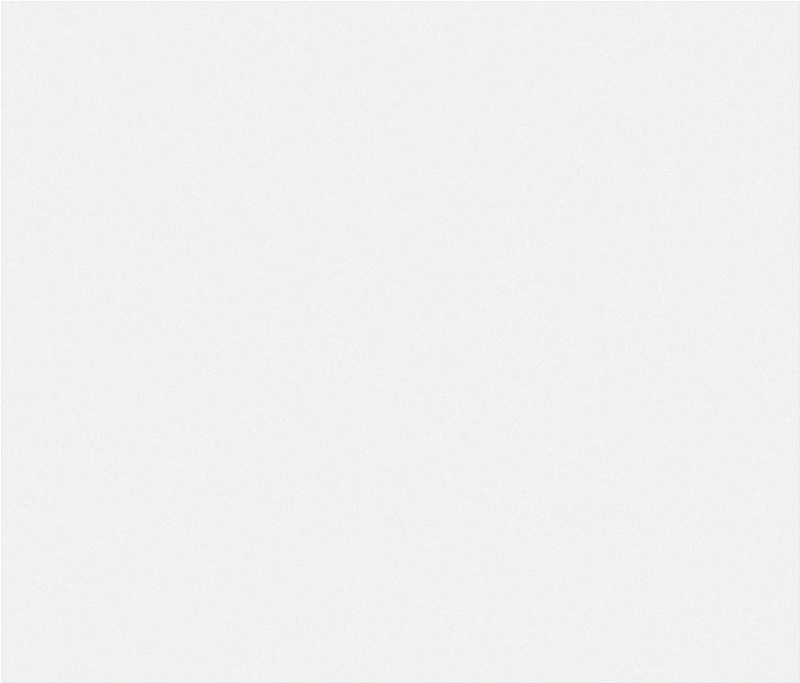 Visit the 125 Alumni of Distinction site to learn more about these inspiring alumni. Far more members of our alumni community are worthy of honor, but those selected stand in for the countless individuals who have made such a huge impact on the legal community and the greater community at large. Please join me to celebrate the outstanding legacy of Chicago-Kent at the 125 Alumni of Distinction Dinner on Thursday, November 21. IIT Chicago-Kent College of Law is celebrating 125 years of trailblazing, innovative and successful alumni who have helped shape the legal profession, given back to their communities and to the law school and helped raise the profile of Chicago-Kent on a global level. After almost a year-long process that garnered more than 400 nominations, a committee of alumni, faculty, staff and students narrowed the list to 125 Alumni of Distinction. These 125 Alumni of Distinction represent a cross-section of our community that is as diverse and multi-faceted as the law school itself. Some are lawyers and legislators. Others are civic leaders, entrepreneurs, journalists and authors. Far more are worthy of honor, but those selected stand in for the countless alumni who have made such a huge impact on the legal community and the greater community at large. Each week, we are showcasing a new set of alumni profiles through a special email campaign. You may view the entire list of IIT Chicago-Kent's 125 Alumni of Distinction here. We hope you are as proud of these alumni as you are of your own successes in the law and elsewhere. On Thursday, November 21, 2013, the Chicago-Kent Alumni Association will honor 125 of its most distinguished alumni at the 125 Alumni of Distinction Dinner. The 125 Alumni of Distinction are a diverse group of men and women who truly embody the spirit of innovation and excellence that is the foundation of Chicago-Kent. Join us as we share the inspiring stories of each of these men and women, and honor them for the tremendous impact they have made on the legal profession as well as their communities at large. For more information. Chicago-Kent's 2013 Roy C. Palmer Civil Liberties Prize Receipient Ganesh Sitamaran will deliver a lecture on his book "The Counterinsurgent's Constitution: Law in the Age of Small Wars," which explores the intersection of law and counterinsurgency strategy, on Thursday, November 21 from 12:00 - 1:00 p.m. in the Abraham Lincoln Marovitz Courtroom at Chicago-Kent. In addition to his work on the faculty at Vanderbilt, Professor Sitamaran is a principal at the Truman National Security Project, a senior fellow at the Center for American Progress and a former counsel to U.S. Senator Elizabeth Warren. For more information. This event is free and open to the public. A book signing will follow the lecture. Please RSVP to alums@kentlaw.iit.edu. The Loan Repayment Assistance Program (LRAP) at Chicago-Kent assists alumni in low-paying public interest jobs in managing student loan debt so they can remain in those jobs, and encourages current students to consider a public interest career. Applications will be accepted until December 1 from eligible alumni, with awards granted in February 2014. For more information on the LRAP, visit www.kentlaw.iit.edu/lrap. Chicago-Kent is hosting "The Art of Influence: Breaking Criminal Traditions," a fine art exhibit designed to designed to shed light and promote discussion of the major global human rights issues. The exhibit features 38 pieces from Midwest's most prominent artists, and will be on display on the third floor of Chicago-Kent's main campus until February 2014. A symposium entitled "Using Your Art of Influence to Break Criminal Traditions and Create Social Change" will be held in connection with the exhibit on Monday, November 18. For more information. In an effort to hold meaningful discussions on race and diversity in the Chicago-Kent community, the Chicago-Kent Diversity Committee and the Student Groups of Color are hosting the Fall 2013 Documentary Film Series on Race. Three different films will be screened during the fall months with a discussion and a reception to follow each screening. Alumni are welcome to attend. For more information. Congratulations to Matthew Jenkins '07 on being named "40 under 40 Illinois Lawyers to Watch" by the Chicago Daily Law Bulletin in 2013. Matt is an associate at Corboy & Demetrio in Chicago, where he clerked during law school. In 2013, Matt, along with Flip Corboy, obtained an $8 million verdict for the family of a woman killed by a truck as she stood on shoulder of I-294. Before returning to Corboy & Demetrio, Matt practiced plaintiffs’ civil rights law at Loevy & Loevy in Chicago. While at Loevy, Matt assisted in obtaining a $4 million verdict in a significant civil rights case on his very first trial. Outside the courtroom, Matt is dedicated to public service. He currently serves as President of the Board of Directors of the Center for Disability & Elder Law, and is the youngest president in CDEL’s history. Matt also serves as co-chairman of the Illinois State Bar Association’s Civil Rights and Criminal Law Committee and is also a member of IIT Chicago-Kent's Young Alumni Council. "Taste Embargo - What Will Happen When the Cuban Embargo is Lifted?" Thursday, November 7, 2013 | 5:30-8:00 p.m.
IIT Chicago-Kent's Institute for Law and Humanties Presents the Albany Park Theater Project's "Truth From Youth"
Monday, November 11, 2013 | 5:00 p.m.
Tuesday, November 12, 2013 | 6:00 p.m. - 9:00 p.m.
Thursday, November 7, 2013 | 6:30 p.m. - 9:00 p.m.
Monday, November 11, 2013 | 12:00 p.m. - 1:00 p.m.
IIT Chicago-Kent Law Review Annual Symposium "Intragroup Dissent"
Friday, November 8, 2013 | 9:00 a.m.-3:40 p.m.
IIT Chicago-Kent Presents "Fashion Esquire: How to Dress for the Job You Want"
IIT Presidential Lecture Series "America's Immigration Policy Fiasco"
Thursday, November 14, 2013 | 3:30 p.m.
Chicago-Kent Documentary Film Series on Race Presents "Of Civil Rights and Wrongs"
Thursday, November 14, 2013 | 6:00 p.m. - 7:30 p.m.
IIT Chicago-Kent Presents "Using Your Art of Influence to Break Criminal Traditions and Create Social Change"
Monday, November 18, 2013 | 3:00 p.m. - 5:00 p.m.
Vanderbilt Law Professor Sitamaran will speak about his book "The Counterinsurgent's Constitution: Law in the Age of Small Wars." Thursday, November 21, 2013 | 12:00-1:00 p.m.
IIT University Trustee John W. Rowe Lecture "The Heart of the Matter"
Thursday, November 21, 2013 | 4:00 p.m.
On Saturday, September 28, IIT Chicago-Kent College of Law hosted the 125th Anniversary Block Party and All-School Reunion. More than 1,000 alumni and friends of Chicago-Kent enjoyed delicious food, crisp Lagunitas beer and the musical stylings of alumni bands on a beautiful fall day in Chicago. Pictures from the Block Party are available here. 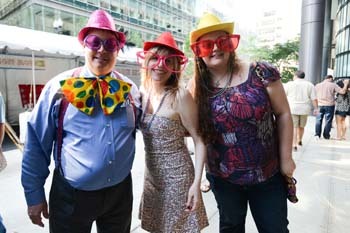 Thank you to all who attended and made the Block Party the largest alumni event in the history of Chicago-Kent! This past October Chicago-Kent graduates gathered for a networking receptions in Beijing and Shanghai. Dean Harold Krent and Assistant Dean for International LL.M. Programs Ed Harris '01 attended and spoke about Chicago-Kent's commitment to providing innovative and appealing LL.M. programs to international students.